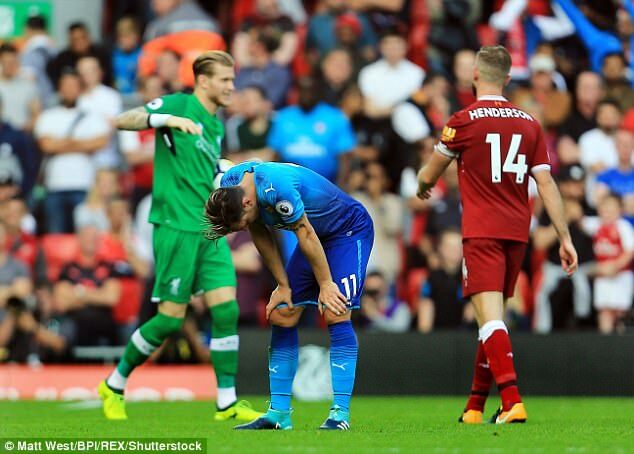 Three games in and already a defeat by Stoke and a thumping loss to a top-six rival in Liverpool. 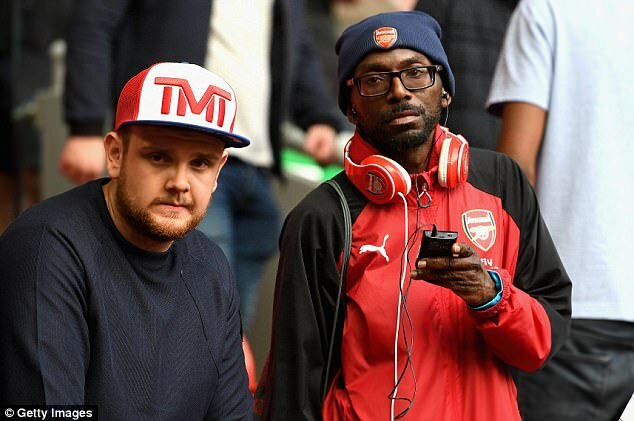 Arsenal are the classic movie stuck on repeat. This is a club in crisis. Out of the Champions League, languishing in the Premier League, bumbling along with a manager not held accountable for results and steered by a board who appear to care little for the supporters who turn out in such numbers every week. 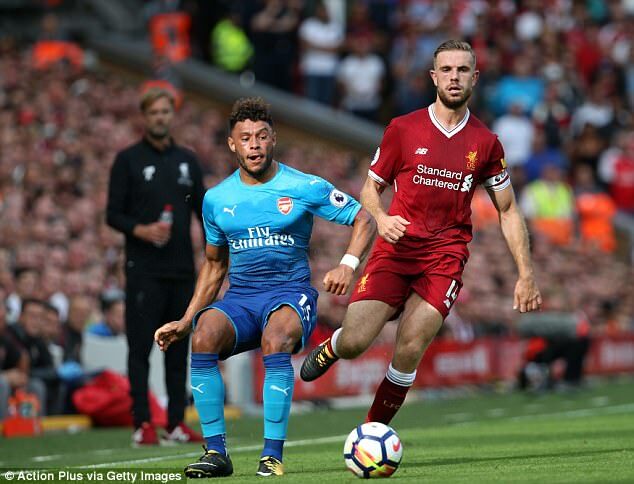 After a summer in which want-away players have taken to picking up convenient ‘injuries’ to rule them out of early Premier League action, it was certainly curious to see both Alexis Sanchez and Alex-Oxlade Chamberlain start for Arsenal at Anfield. 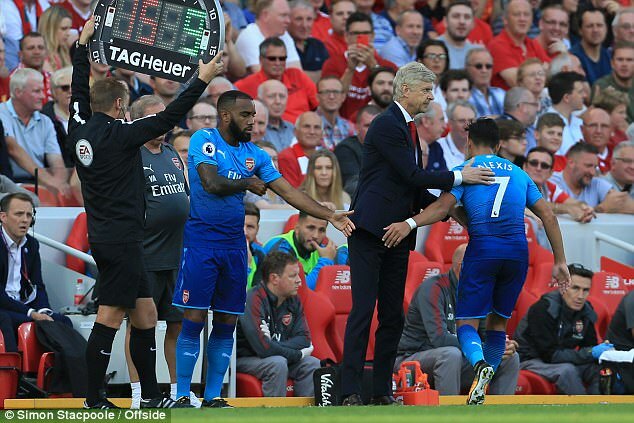 It was a bold move by Wenger that backfired spectacularly and will only have alienated his £53m club record striker Alexandre Lacazette, whose reward for a bright start to the season was a place on the bench at Anfield. 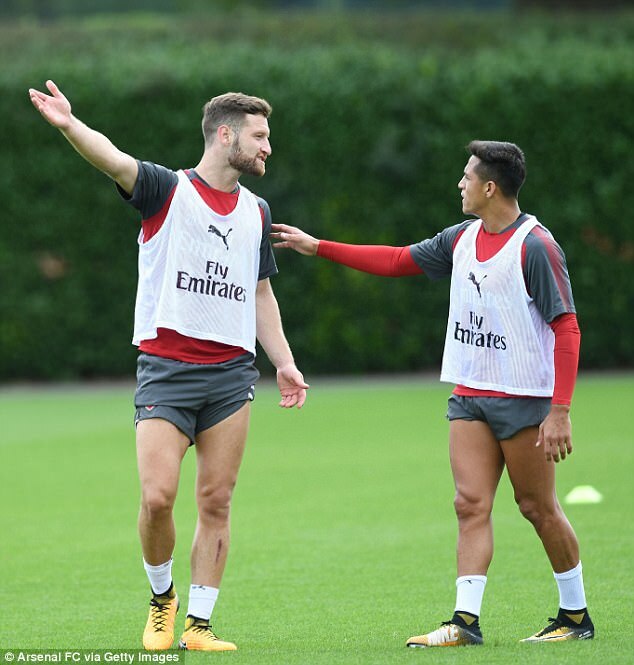 Arsenal insist Sanchez will remain at the club – good luck persuading him after this. 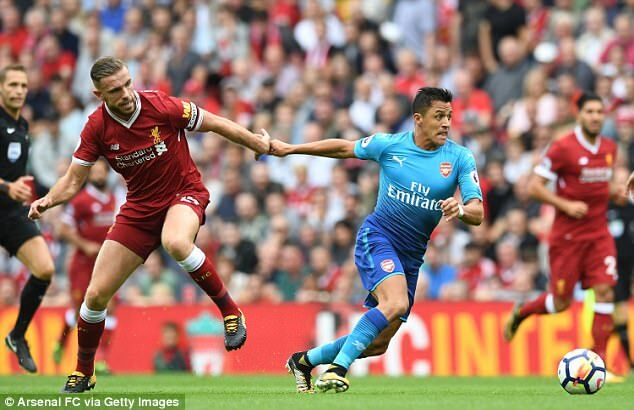 The perceived wisdom had been that Sanchez is a terrier of a footballer who would show the utmost dedication once he crossed the white line. The reality was a poor performance, missing his usual bite, and he was substituted shortly after the hour mark. He returned to that picture-perfect pose on his haunches – his ‘How much longer do I have to slum it with this rabble?’ stance – that he could perhaps trademark for himself. 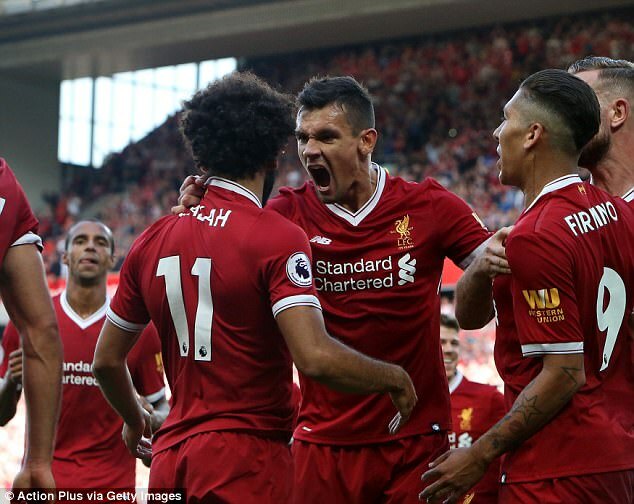 Sanchez was then spotted smirking after the fourth Liverpool goal – that is not a crime, and footballers are still allowed to smile if there team is not winning but it did not give the suggestion of a man tormented by his team’s ordeal. Oxlade Chamberlain, meanwhile, was dreadful in the first-half. The speculation is that Liverpool will rival Chelsea for the England international – it is hard to see where on earth he would fit in at Anfield. 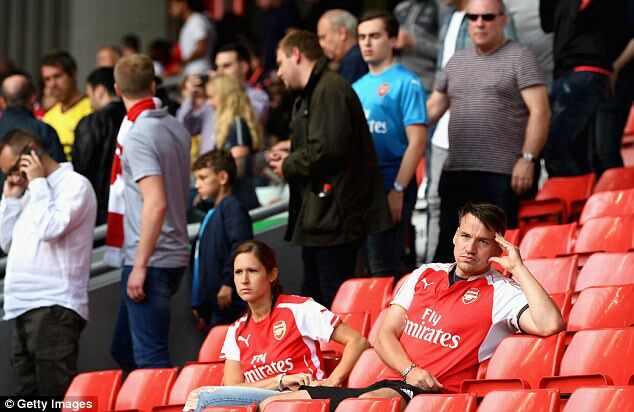 Then you have Mesut Ozil, who will remain at the club this season but does not appear entirely content. 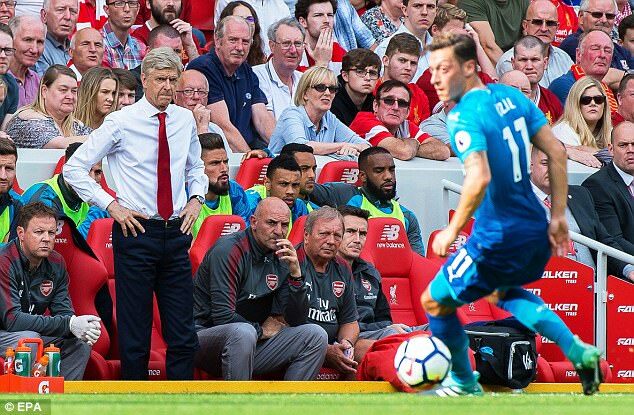 Ozil, never one to influence a game when his side are struggling, was wretched once more. Shkodran Mustafi, a £35m defender signed from Valencia last summer, sat on the bench while Rob Holding, a bright talent but mercilessly over-exposed on Sunday, endured a most awful afternoon. It is an almighty mess and much of it is of the club’s own making. What do Alexis Sanchez, Alex Oxlade-Chamberlain and Mesut Ozil have in common? Arsenal have allowed their existing deals to run to less than 12 months of their expiration date. It is awful boardroom management that indicates a complete failure to learn the lessons from the manner in which Arsenal lost Samir Nasri in 2011 to Manchester City and Robin van Persie in 2013 to Manchester United. Sometimes, clubs are confronted by unfortunate situations where the sharks come circling. It happened to Manchester United with David De Gea earlier this summer. It’s happening to Liverpool with Philipe Coutinho now. Both players have sufficiently long contracts for their own clubs to dictate terms. Arsenal, by contrast, have put themselves in the weakest possible position and the players, without Champions League football, are now agitating furiously. On Nasri, Wenger said shortly before his sale: ‘I’m willing to keep him for another year, even if it means we risk losing him for nothing in a year’s time.’ He now has four days to avoid history repeating itself with Sanchez. 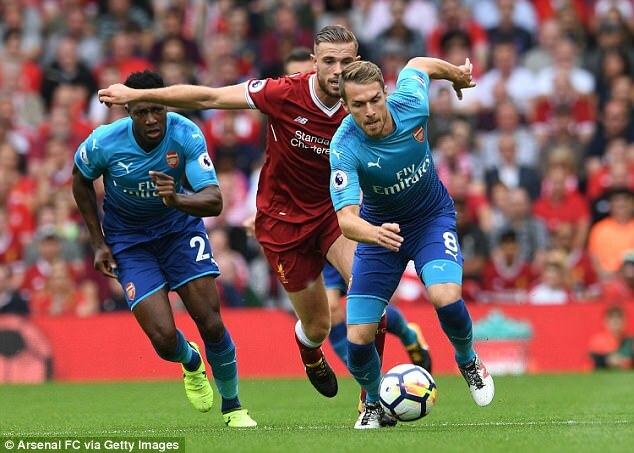 Liverpool were devastating and clinical on the counter-attack on Sunday but let us be very clear: this is not a new trick against Arsene Wenger’s side. 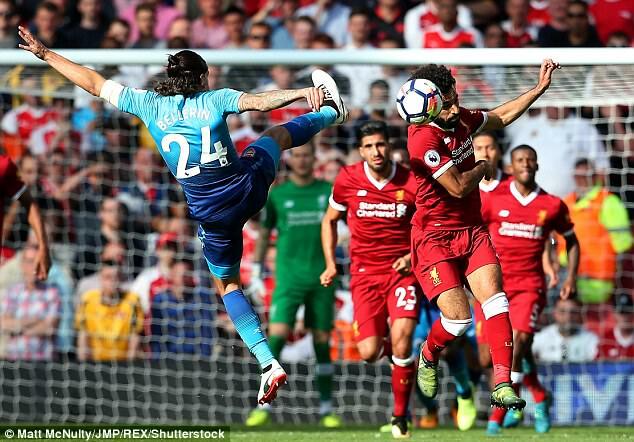 Liverpool whizzed from back to front with such ruthless zip that a couple of goals felt more like ice-hockey attacks than Premier League football. 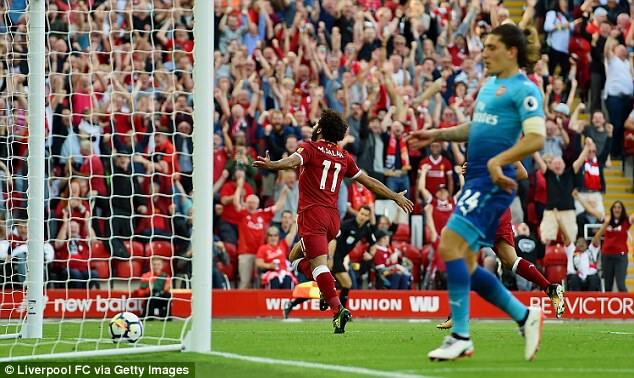 Mo Salah’s goal saw Liverpool score within 12 seconds of Arsenal’s corner. We need only recall several games at the Emirates Stadium between Arsenal and Sir Alex Ferguson’s Manchester United between 2009 and 2012 when the visitors soaked up pressure, allowed Arsenal ball in harmless areas and then savaged Wenger’s side on the counter-attack. Cristiano Ronaldo and Wayne Rooney scored goals. United went from their own box to the back of Arsenal’s net inside 12 seconds when Ronaldo scored in the Champions League semi-final in 2009. Wenger simply has not adapted. He may have altered his formation in the past six months to a 3-4-2-1 made popular by Antonio Conte last season but his players remain ill-disciplined and under-instructed in these big games. We can recall one terrific Arsenal win at Manchester City a couple of years ago when it appeared Wenger may be learning but this can now be dismissed as a one-off. 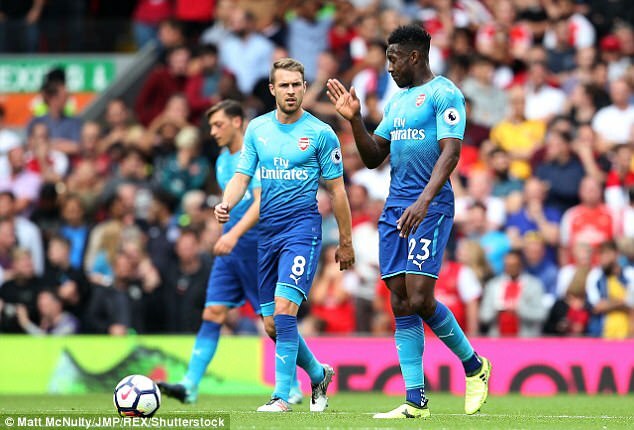 The midfield was wide open, Granit Xhaka and Aaron Ramsey neglected their defensive responsibilities and the back three was torn apart. The tactical naivety has a clear knock-on effect with results. Arsenal’s away record against the established top six teams is simply dire. In their last 25 away games against Manchester United, Manchester City, Chelsea, Liverpool and Tottenham, Arsenal have won 0, drawn 7 and lost 18. Seven points out of a possible 75. The sorry truth is all these sides will face more resistance from a West Brom or Southampton coming to visit. Far from a game to worry about, Arsenal coming to town is a dream for the top teams. 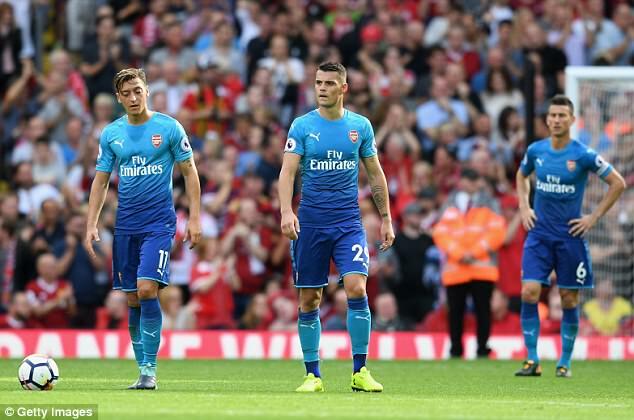 Former Arsenal defender and Sportsmail columnist Martin Keown has written that he ‘cannot remember an Arsenal performance than this’. There have been dark, dark times already for Arsene Wenger. The final months of last season were at times a rotten and unedifying experience. An 8-2 defeat by Ferguson’s United and a 6-0 loss at Jose Mourinho’s Chelsea on the occasion of his 1000th match in charge were haunting moments but Sunday felt more dispiriting than ever before. Where can Wenger go from here? He has signed a new two year contract but two years would not be enough to rebuild this squad and besides, is there any evidence from the past few seasons that Wenger is capable of doing so? He seems certain to lose at least a couple of senior players before Thursday’s close to the transfer window and reinforcements do not seem to be arriving. Wenger oversaw the construction of Arsenal’s new stadium a decade ago and the aim had always been that it would elevate Arsenal to compete with Real Madrid and Barcelona as they seek to conquer Europe and the world. Instead, they may end up scrapping with Everton and Stoke for 6th place. 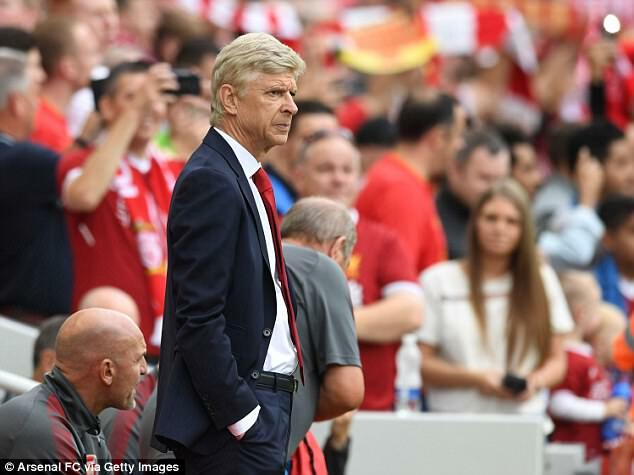 The overwhelming feeling towards Wenger is one of pity and it seems certain to be a sad and unceremonious couple of years for one of the true greats of English football. There seems to be a complete absence of accountability at Arsenal. 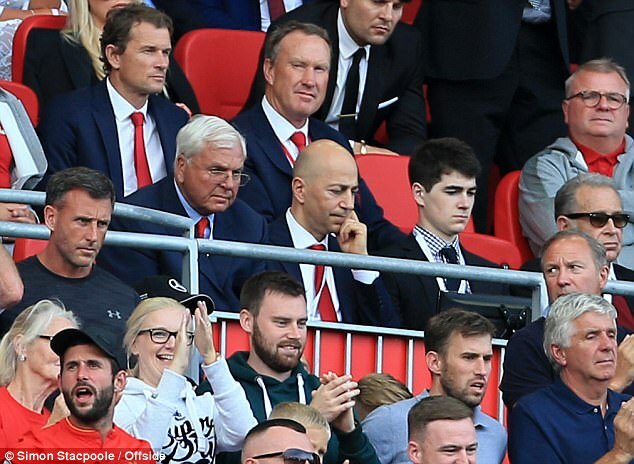 Stan Kroenke, Ivan Gazidis and Alisher Usmanov allowed a ‘horrendous environment’ to fester last year, to use Wenger’s own words, as the Frenchman took an age to decide whether or not he should remain at the club. Wenger promised to reinvent himself, convincing his employers that he is not the relic that many now assume him to be. As former Prime Minister David Cameron said on his final address to Parliament: ‘I was the future once.’ That, unfortunately, is Wenger’s fate. Progress has passed him by and he cannot live with the innovations of his modern rivals. There is no evidence that those platitudes will be backed up by actions. 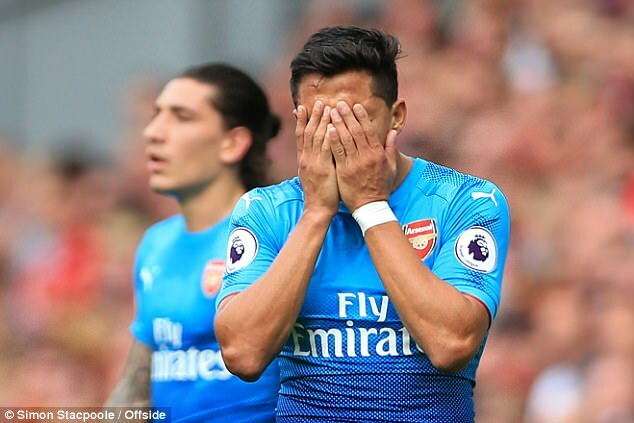 Wenger’s change to a back three has now run out of steam and we are left wondering where he can turn for answers, with the club inactive in the transfer market. There is a disconnect between the club and its fans that, in its worst guise, manifests itself through unedifying aeroplane stunts and sweary snapshots on the Internet. Yet the longer it goes on, the more sympathy should grow for Arsenal followers. They are now being taken for a ride by the club they adore. Wenger has always been tremendously loyal to his players but it appears increasingly misguided. He has a commitment to the players that they do not reciprocate. 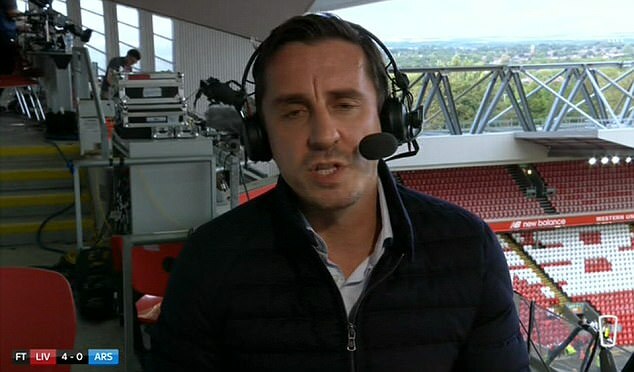 Gary Neville condemned players ‘ambling back’ when Arsenal lost possession. We can sometimes overstate the need for passion in English football but it is one of the universal truths of football that the teams who work most hard tend to get the best results. Pep Guardiola’s Barcelona, Antonio Conte’s Chelsea and Diego Simeone’s Atletico Madrid all share in common a burning desire to work hard without the ball. Even the most limited of sides can work hard and in unison off the ball. It is why Tony Pulis has never been relegated from the Premier League and it should not be too much to expect Arsenal players to give their all once they are on the pitch. It may seem churlish to say this of professionals but this set of players too often seem at best indifferent to results and in their worst guise, as though they really are not troubled if they win or lose. Do we think there would have been a brutal inquisition in the Arsenal dressing room on Sunday? 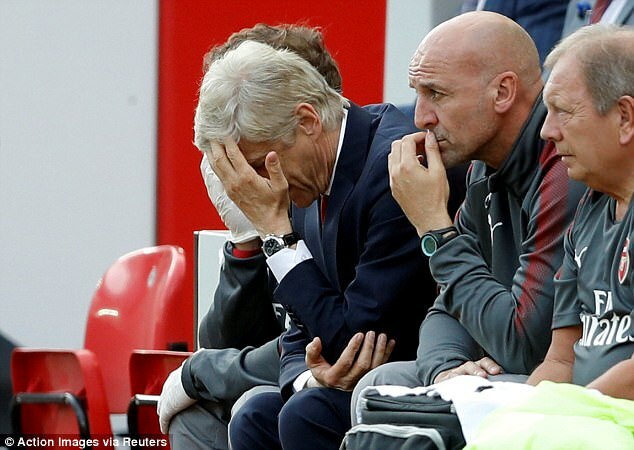 In his post-match interview, Wenger insisted that it was not ‘the time for emotion’. 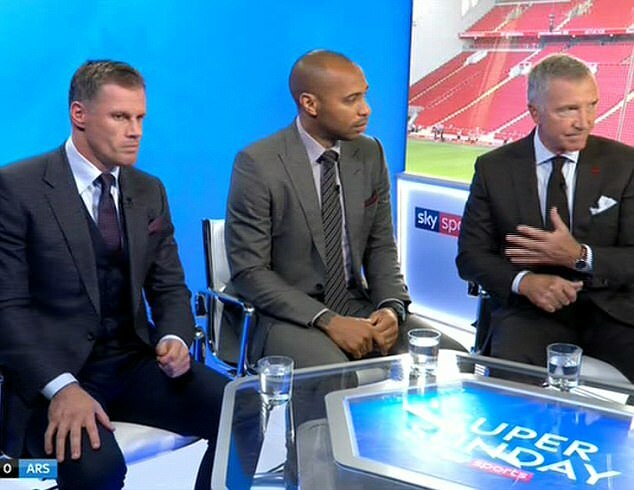 Jamie Carragher summed it up on Sky Sports: ‘It is like watching the same movie. The board bottled it in the summer, they bottled it. Terrified of moving the manager on, who has been a legend there. There had to be a change of manager.